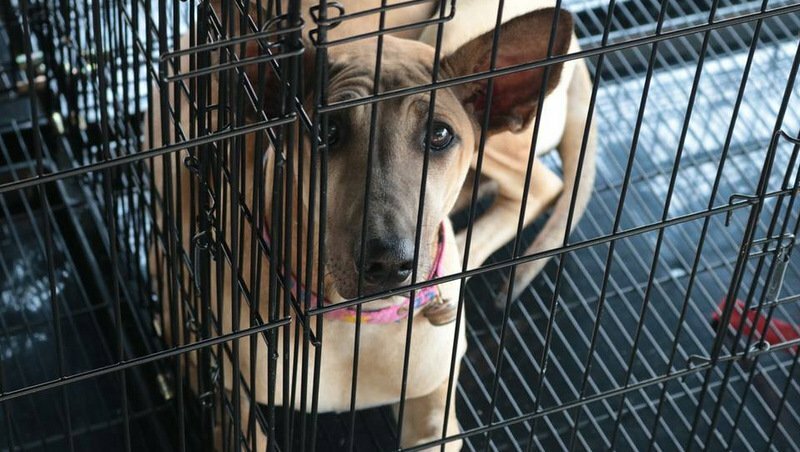 A rabies quarantine zone has been established across a large section of Phuket as officials work alongside staffers from the Soi Dog Foundation to ensure against an outbreak of rabies. The move follows confirmation that one dog in Moo 4 Chalong had died of the disease. The zone boundaries stretch from Baan Ketho in Moo 7, Kathu in the north, to Baan Bang Khonthi in Moo 5, Rawai, in the south and from Baan Borrae in Moo 6, Wichit in the east to Wat Suwankhirikhet (Wat Karon) in Moo 1, Karon on Phuket’s southern west coast. The quarantine zone was brought into effect yesterday (Jan 17) by order of the news Phuket Livestock Office Acting Chief Manat Thepparat. The zone will remain in effect until until Feb 16, Mr Manat told The Phuket News today. Several other dogs at Baan Na Yai Chalong have been isolated to monitor their condition as a precaution, he added. “Please don’t panic. If you have any dogs or cats that have not yet been vaccinated against rabies, please have it done now,” Mr Manat said. Soi Dog Foundation Founder John Dalley explained earlier today in a statement, “A dog was brought into Soi Dog by our dog catchers after it was reported to be vomiting and unable to stand. “It received treatment for several days but did not respond, and symptoms of staggering and being unable to open its mouth, and head tilted to one side led our veterinary staff to suspect rabies as these are classic symptoms. “The dog was euthanised and its body sent to the government testing laboratory. The result indicated that the dog was positive to rabies, the first positive case seen in a dog on Phuket for many years,” Mr Dalley noted. Soi Dog are working closely with the Department of Livestock to vaccinate all dogs within a five-kilometre radius of where the dog was picked up, he said. “Soi Dog will focus on strays and the DLD on owned dogs. Five teams (two from DLD and three from Soi Dog) are currently working in the project where the positive dog was found. “There is no cause for alarm. We see numerous positive cases in dogs in Bangkok, but no human cases have occurred there in the past 12 months. “The traditional picture of a rabid dog foaming at the mouth and attacking people is not a true picture, as with this dog,” Mr Dalley stressed. Anybody being bitten by a dog at any time should always immediately wash the wound with soap and water and go along to their local clinic or hospital to receive the necessary injections, he urged. “Although this is likely an isolated incident it should be noted that Soi Dog has repeatedly over the years warned of the dangers and requested successive governors to stop the hundreds of very young puppies being imported to Phuket each year for sale at markets and pet stores, but nothing has ever been done,” Mr Dalley explained. Such puppies generally come from uncontrolled puppy farms in rabies endemic areas, Mr Dalley explained. “Puppies cannot be vaccinated against rabies until they are at least 12 weeks old and are reliant on the mother’s immunity providing she has some. The case of a puppy seller in Chatuchak market dying from a bite from a puppy shows the danger. “In addition, removing vaccinated sterilised dogs from the street increases the chances of rabies spreading,” he said. “The World Health Organistion, the Food and Agriculture Division of the United Nations, the World Organisation for Animal Health and the Global Alliance for Rabies Control have issued joint statements advising that the way to eliminate rabies in humans is to eliminate it in dogs first as much cheaper and more effective to do that,” Mr Dalley noted. “If 70% or more of dogs in a country are vaccinated and strict controls on entry imposed, then you will eliminate rabies. If a member of the public sees a dog that is staggering or unable to stand then they can call the Soi Dog Helpline on 076 681 029, Mr Dalley urged. See the Soi Dog Foundation Facebook page, here.